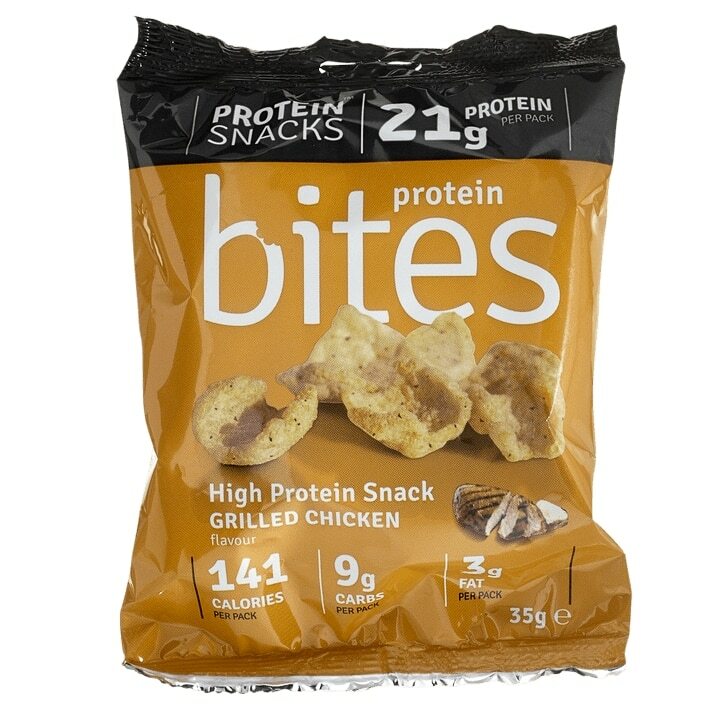 Protein Bites is the first ever high protein, low fat crisp offering a convenient and guilt free snack in a choice of two great savoury flavours. These revolutionary new packs are already being hailed as the "next best thing" by the health conscious consumer looking for a high protein, low fat and low carb snack. Containing 21g of protein with just 3g of fat and 9g of carbohydrates, each bag contains under 142 calories and a further benefit is their low sugar content. Get your protein when and where you want it: pre or post workout, mid-morning snack or satisfy those hunger pangs with a nutritious and easy to eat, anytime snack. Made in the UK by nutritional specialists, they are suitable for everyone. Protein Bites are a great tasting savoury snack which can be consumed at any time throughout the day to increase daily protein intake. Storage: Store in cool dry place, away from direct sunlight. Once opened consume within 24 hours. Protein Blend (Soya Protein Isolate, Whey Protein Concentrate, Whey Protein Isolate), Rice Flour, Grilled Chicken Flavour (Rice Flour, Sugar, Yeast Extract Powder, Salt, Onion Powder, Yeast Powder, Herbs [Parsley, Thyme, Sage], Natural Flavouring, Citric Acid), Iso-Malto Oligosaccharides, Rapeseed Oil, Mineral Calcium Carbonate, Antioxidants: Vitman E and Rosemary Exctract.